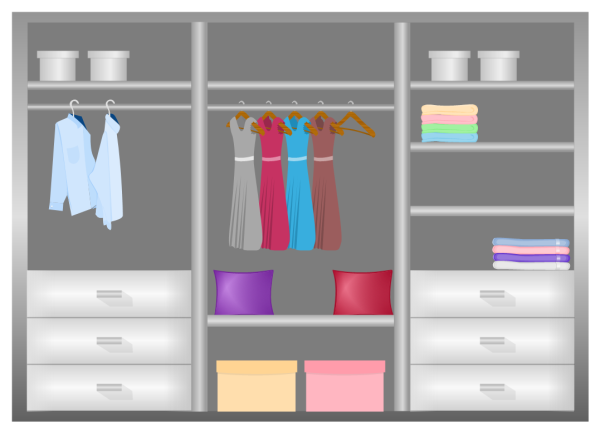 A closet design diagram sample is shown to help users develop nice closet designs. Use this customizable template to design your own quality closets. 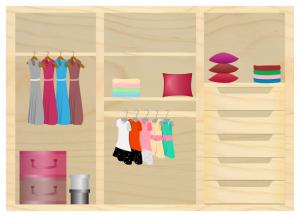 The closet design template can be downloaded and customized for your own use. By using this ready-made template and built-in symbols in Edraw, you will make a nice closet design with the least effort. Discover why Edraw is an excellent program to create closet design diagram. Try Edraw FREE. 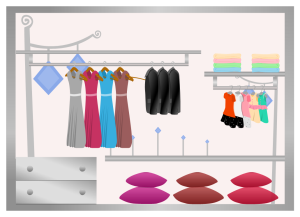 A good looking wardrobe template is provided in order to help users quickly design their own wardrobe plans using Edraw. A wooden wardrobe design template is presented to help users with innovative ideas in creating nice wardrobe plans. Download this vector file and use it as a template for fast designing.